The 4th of July inspired originals sold like pancakes when I post them on my newsletter... Thank you! 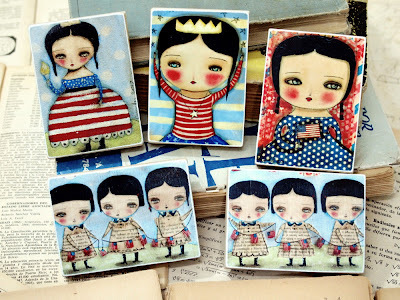 I listed the ACEO set for you just in time to decorate your home for the upcoming holiday and leave them all year adorning your home! You can buy the whole set or individually. Check them out here on my Etsy Shop, as well as the Wood Mounted Larger Prints.